Hurry and save up to $100 on a Rinnai Tankless Water Heater from Rand Wade Oil! With no pilot light and the ability to produce hot water on demand for all your taps and appliances, a propane tankless water heater can be considerably more efficient that a conventional storage-type water heater – especially one powered by electricity. In fact, according to the Department of Energy (DOE), an ENERGY STAR®-rated tankless water heater can operate up to 34 percent more efficiently than a traditional water heater! That’s an important advantage when you consider that heating water can account to up to one fifth of your overall home energy cost. With that kind of savings, a tankless propane system could pay for itself in just a few years while delivering other great benefits to your North Carolina home, including unlimited hot water, greater placement flexibility, and longer equipment life (about twice as long as storage water heaters, on average). Up until now, you may have thought about making the switch to tankless, but put it off because of the investment needed to get your system in, up and running. But now – thanks to industry-leading manufacturer Rinnai – that investment may be less than you think. Rinnai is currently offering a special promotion that can save you up to $100 off the purchase of qualifying Rinnai tankless water heaters. With the superior engineering, smart design and unmatched quality of these great units, you’ll enjoy the benefits of tankless water heating for years to come. 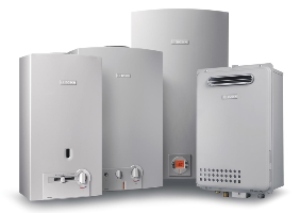 Careful consideration should go into choosing a tankless water heater that fits your needs, budget and lifestyle. If you need some help with that choice, contact us – we’re here to help. Save up to $100 on Rinnai tankless water heater, expertly installed by Rand Wade Oil. Contact us today to learn more or get a FREE, no obligation water heater estimate for your North Carolina home!